AZEFT members are Arizona licensed therapists and counselors committed to providing the best therapy for couples and families. We practice Emotionally Focused Couple Therapy because we believe this is the most effective therapy model for healing distressed couples, rebuilding security and respect, and fostering loving relationships that last. The community is led by a volunteer board of EFT Therapists. Selection for, and retention of, these board positions is determined by the ongoing demonstration of consistent service to the AZEFT Community. Information about upcoming EFT trainings. Networking and support from other EFT therapists. The chance to promote a “Hold Me Tight” workshop you may be offering. Plus all the benefits of your ICEEFT membership, including participation in the EFT list serve, discounts on ICEEFT training materials, access to the latest EFT research, and the chance to make EFT friends all over the world. You must be a member in good standing with ICEEFT (International Centre of Excellence in Emotionally Focused Couple Therapy) in order to join AZEFT. This includes completion of an ICEEFT 4 day externship. AZEFT Center members must uphold the highest standards of Emotionally Focused Therapy practice, which includes keeping their EFT skills current and effective. They are also expected to maintain the ethical standards of their therapy licensure and to follow the laws and regulations governing the practice of therapy in Arizona. In addition, AZEFT Center members may be asked to assist as volunteer helpers for the Center and to participate at some fair level in meeting the modest costs of maintaining the Center and its website. Information about the Center’s needs for funding and volunteer service will be shared in mailings to all AZEFT members. 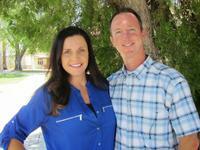 The Arizona Center for EFT began in 2008 with the first EFT Core Skills training in this state. Dr. Lisa Palmer, LMFT, is our founding and lead Trainer. The six therapists who are the Center founding members participated in the original 2008 Core Skills trainings and the supervision/consulting sessions that accompanied them: Everett Bailey, Travis Frye, Lisa Gold, Douglas Jardine, Sandy Jardine and Pam Solem-Weser. ​Since then, Dr. Palmer and the founding members have collectively invested their time and other resources in the development and coordination work necessary to launch the AZEFT Center, including setting up trainings, a mailing list, community events, and this website. We look forward to expanding our leadership with newly trained EFT therapists. Watch your AZEFT electronic mailings for updates.